Following our human practice investigation, we challenged ourselves to tackle the specific requirements, of both the consumers and the industry. We designed our research around the three prominent issues we learned and thought about for the creation of a new approach in the wine industry. After we explored about Brett and search the literature - we encountered a protein called KP6. Mixed cultures in winemaking conditions show that KP6 protein has the ability to inhibit B. bruxellensis, while S. cerevisiae is fully resistant to its killer activity, indicating that it could have been used in wine fermentation to avoid the development of B. bruxellensis without undesirable effects on the fermentative yeast. because of contamination or to the survival of some strains, spoilage sometimes occurs during ageing or even after bottling and some wines cannot be sold because of their abnormal viscosity, resulting in considerable financial loss. All this can be explained by the fact that identification of Brettanomyces bruxellensis is particularly difficult in the early stages of wine production, and as a result, treatment is now performed after identification, when its effect is already felt, albeit at a minimal level of feeling. We offer a 'preventative treatment' that will allow the winemakers to keep wine clean from Brettanomyces bruxellensis from the stage of alcoholic fermentation, so the winemaker can avoid wine throwing or unnecessary addition of sulphur dioxide (SO2). Our second mission was to lower the sugar content of the wine, without sacrificing its quality. The target market for this endeavor consists of diabetic individuals and people suffering from other metabolic irregularities. We wanted to create a wine with all its classic aromas and flavors but with zero glycemic index. 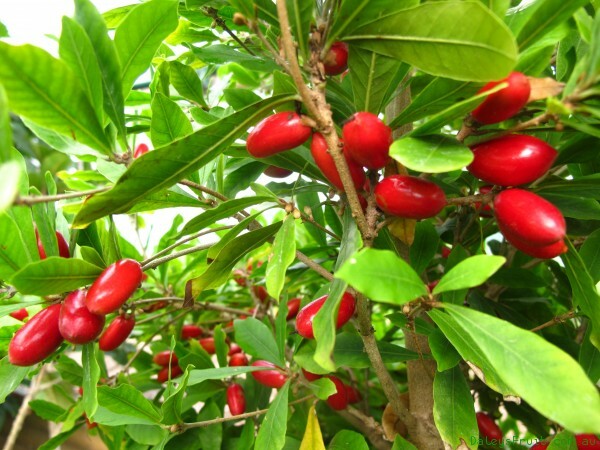 That’s when we realized that the answer lies with the “Miracle Fruit” (Synsepalum dulcificum) , a fruit that alters the perception of taste in such a way that sour foods are perceived as sweet. Due to this unique attribute, Miraculin is potentially perfect as an artificial sweetener that does not raise blood sugar levels. Miraculin consists of four subunits and he’s molecular weight is 24.6 KDa. The molecule itself is not sweet, however, after the taste buds are exposed to miraculin (which binds to sweet receptors on the tongue), acidic foods which are ordinarily sour (in the pH range of 3-6 pH) are perceived as sweet. The action mechanism is unclear yet, but we believe the benefit of Miraculin can implemented in the wine industry, in order to design a wine product dedicated to diabetes and overweight consumers. inhibiting the cytochrome P450 enzymes required for the activation for transformation of some cancer-producing chemicals to their active forms. restores the ability of cancer cells to enter into the programmed cell death response, or apoptosis, which is a normal cellular response to irreparable DNA damage. Delaherche, A., Claisse, O. and Lonvaud-Funel, A. (2004), Detection and quantification of Brettanomyces bruxellensis and ‘ropy Pediococcus damnosus strains in wine by real-time polymerase chain reaction. Journal of Applied Microbiology, 97: 910–915. doi:10.1111/j.1365-2672.2004.02334.x. Wein,H. (2013) how resveratrol may fight aging, www.nih.gov.